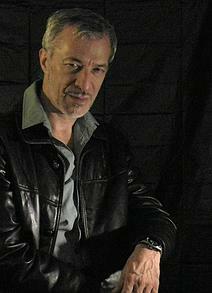 Walter Krochmal is a veteran actor of stage, independent film and radio, as well as arts promoter and producer. His work has taken him to Festival de Cannes, Edinburgh Fringe Festival, and on engagements in Honduras, Mexico, Canada, and across the USA. For his original work he has earned the Franklin Furnace Performance Art Award. He has narrated over 100 audiobooks in English and Spanish. I first met Walter a few years ago when we exchanged a few emails. At the time I was a novel writer aspiring anybody famous to read my work. Well, he did read my first novel, Treasure Hunt, and he liked it so much. Afterwards we connected via Facebook and have had lengthy discussions about arts, movies, and books. He founded and organizes Bronx World Film, a world cinema event that focuses on the work of Central America and showcase it. He is a very strict curator though, and would not show anything that it is not up to his high-standards. This December 5th and 6th, Manhattan welcomes a fifth season of the pioneering arthouse cinema and arts event inspired by Central American culture, Bronx World Film Cycle. Its cutting-edge programming this year includes 28 films from 16 countries and 24 directors, (many of them world, US and New York premieres), in all styles and genres with a strong showing of contemporary Central American film. 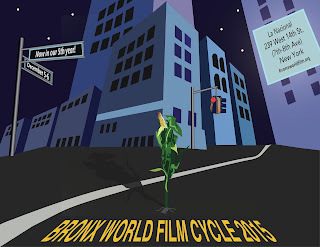 How did the idea of the Bronx World Film come about? In 2009, a short film I acted in and narrated got admitted to Festival de Cannes. I traveled to France for the screening at the Short Film Corner, where you can see works by filmmakers from all over the world in small screening rooms or sign out a computer terminal and watch alone to your heart’s content. It takes place in the less-glamorous basement, but I call it paradise on earth for lovers of foreign films. After watching several dozen films I contacted the filmmakers (many of them travel to Cannes to promote their films, or you can e-mail them from the computer terminals) and loaded myself down with their DVD’s. The experience had planted in my mind the idea of starting my own arthouse film organization in New York City. I live in The Bronx, the city’s northernmost borough, which suffers from a dearth of arts institutions (in 2009 it had maybe 4 movie theaters for 1.4 million people, now it only has 2) and higher levels of unemployment and poverty than the rest of the city. These deficiencies also represent opportunities, and advances in technology have made film production more accessible to people with little resources and a story to tell. The Bronx also has vast expanses of land at relatively cheap prices and low rents, so it definitely represents the future. These factors led me to base my organization here, not in super-saturated Manhattan. Furthermore, as a Central American who has always felt frustrated at our lack of visibility in this city, I decided to make Central American film the main focus of the programming, and to orient the film work toward integral human development. That is the root of the vision. The deeper inspiration comes from my childhood, when we lived on top of King’s Hill, St. Croix, Virgin Islands, with a big backyard overlooking the whole island. Dad would invite little playmates over and screen Heckyll and Jeckyll movies for us there with one of those old-school home projectors and a popup screen. Our flagship annual Cycle program brings back some of the magic and human warmth of my childhood experience. Tell us a bit about the selection process. 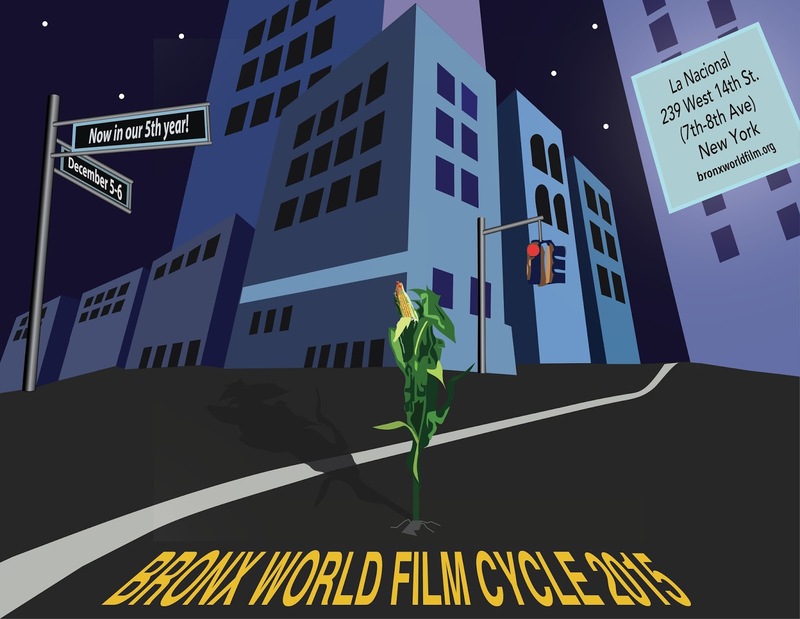 Bronx World Film has as its mission to promote all genres of art house, non-commercial and indie films – works that may be low budget but that show off novel, character-based storylines, great acting and directing and a poetic dimension –- with the aim of spurring integral human development, so that criterion leads the selection process. I still carefully handpick each and every film screened, as I have since the first year, scouring the Internet, reaching out to friends and strangers online, and now counting on a body of artists whose work I have come to trust after five years of cultivating relationships with them. When I receive submissions, I check for the criteria that I seek as a movie-going artist. Once I find the first feature film for each Cycle, it helps set a theme for all the films I choose afterward. The selection process has always favored fiction, however this year for the first time we have a strong documentary component from Central American filmmakers. These works caught my eye because they transcend – or outright puncture -- the conventions of the genre with a strong poetic dimension that uncovers hidden realities or casts a well-known story in an unusual light. Apart from your curated films, what else would the festival include? For beginners, the word “festival” raises the expectation of certain conventions. Festivals generally happen once a year and involve competition and prizes, which often get awarded based on hidden agendas having little to do with the art. We brand our main event as a “Cycle” because it’s designed to spin off repeated screenings and programs in other venues and communities. When you walk in, you get greeted with a traditional Central American structure, our signature bamboo and thatch “champa,” which has morphed from a setpiece into our projectionist’s booth. Right off the bat we transport you to that Central American milieu. All artistic forms converge in film, so the Cycle reflects that, too. Once inside, you encounter handicrafts from Central America, visual arts (now consisting of 2 exhibits, one in large format and one in small) and a lineup that intersperses live music, poetry, dance, and performance with the screenings. You get to sample Central American delicacies throughout the event and become familiar with the region’s gastronomy. We’ve created a unique platform for Central American cultural products and cottage industries. On a broader basis, while people can watch films at home and on their devices, they often can’t find many of these films anywhere, and even if they could, ultimately human beings want to be with other human beings. We create a rich cultural environment to stimulate the feel of a Central American village fair with world-class arts programming. All of that makes the Cycle a unique experience. This is the fifth year, is it getting easier or harder? It’s a laborious task to produce an event like this, even with a full staff and a good budget, neither of which we have, and more so in arts-saturated New York City. You have to promote exhaustively and nonstop, which means staying on top of the ever-increasing array of information technologies available nowadays, and you have to do so well in advance. As a Central American artist, you face an even harder challenge because we have no governmental or private-sector structures to support such endeavors, our communities tend to worship soccer and shy away from the arts (even when they’re free), and we also have an overall lack of social cohesiveness and respect for the arts as an instrument for development. You often find yourself working alone with very little recognition, particularly as a Honduran, and that takes a tough constitution. On the other hand, if you stay abreast of technology and keep acquiring skills, it makes it somewhat easier to accomplish this without a large staff or a fat purse. The more experience, the easier the work to some degree, although if you wish to improve you’ll always have more work cropping up. Putting communities like ours on the map and helping bring world cinema to a broad audience, however, gives you the charge of a lifetime and makes all the struggles worthwhile and somewhat easier. Now a bit about you, from actor to translator, how did that happen? I came into this world with the gifts of acting and language. I started acting at around 6, and discovered my gift for translating at 13, when I traveled all over rural Honduras as an interpreter helping Baptist missionaries found churches. I’ve acted in every imaginable form of theater, played a wide range of roles and gotten to see some of the world. I’ve probably translated several thousand pages of literature, theater and poetry, and subtitled several dozen films of all lengths, all amounting to a small library. In the last 15 years I’ve branched out into legal, technical and business translation, then simultaneous interpreting for conferences and television. In 2005 I passed the test as a Federally Certified Court Interpreter, one of the highest qualifications you can receive as a linguist in the United States. This later work has helped subsidize my work as an actor and producer working in the non-commercial periphery, which I embrace because with commercial art pervading everything here in the United States and elsewhere, I fear we stand to lose our soul as a species. Nowadays my acting and language skills enhance each other, so whether I interpret for televised political debates and speeches and news programming or work on voice-over dubbing, it all works together as a single package. Needless to say, being bilingual makes my work doubly valuable in all of my fields. You recently had to translate for Pope Francis I, what can you tell us about that experience? Sublime and gratifying! I didn’t get to meet him or anything (some people think I did, and I don’t do anything to discourage them), however even while interpreting his voice into English from an isolated broadcast booth at ABC News in New York City, I got the sense that he’s a breath of fresh air in the Catholic Church and brings hope of breaking through certain serious obstacles that have weighed the church down for generations. As a professional, getting singled out for such a sensitive assignment represents a vindication of a lifetime of hard work at both of my professions and to judge from what others have told me, I managed to capture the strength of his personality and charisma while sounding natural and organic. That to me spells success. Tell us something you'd like to share but that everybody has failed to ask you about. Pretty much everything I want to share I do so through social media. I’m an open book (relatively speaking). What I often say in my writings and what my life has been about bear repeating here, in closing: you can’t have civilization and you can’t have development if you choke the arts. That rings as true for Central America at this critical time in its history as it does for The Bronx, both places that need to pay much greater attention to and invest more conscientiously in the creative voices that reside in their midst. Those voices hold the key to cultural identity and memory, which for poverty-stricken societies represents their greatest treasure.